Lorenzo Costa trained in the Ferrarese workshop of Ercole de’Roberti. In the 1480s he moved to Bologna where he worked for Giovanni Il Bentivoglio. 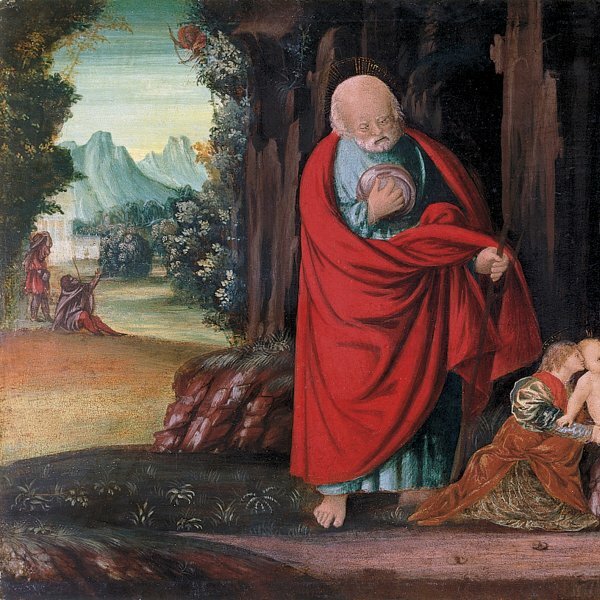 The first known work by the artist is a Saint Sebastian in Dresden (Gemäldegalerie), followed by the decoration of the church of San Giacomo Maggiore in Bologna for the Bentivoglio family. Roberto Longhi and later authors attempted to establish a catalogue of works by the artist executed prior to the San Giacomo project, a difficult endeavour given the similarities between Costa’s style and that of his master. 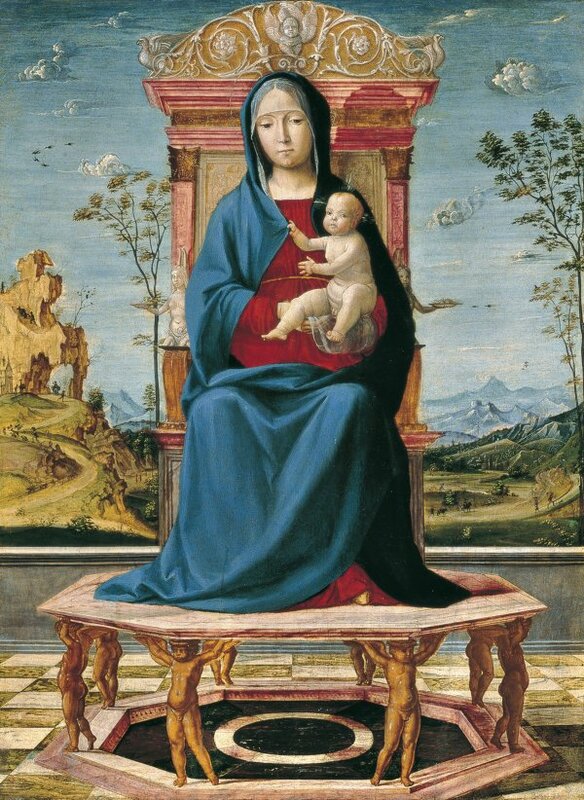 The Virgin and Child enthroned was in the Heseltine collection in London and entered the Thyssen-Bornemisza collection in 1935. It is first mentioned in the literature in 1937, following its acquisition, in a publication by Rudolf Heinemann where it is attributed to Costa. A few years prior to its acquisition, George Gronau had already catalogued it as by Costa in a report in which the author dated it to late in the artist’s career. The panel was attributed to Costa in the catalogues of the Collection published in 1958 and 1969, again with texts by Heinemann. He noted the influence of Ercole de’Roberti but dated the work to one of Costa’s most creative periods, the last decade of the 15th century, placing it between his work on the Rossi chapel in San Petronio, where he worked with Francesco Francia, and the chapel of the Ghedini family in San Giovanni in Monte, both in Bologna. The present panel is a small-format version of a composition that Costa developed for use in his altarpieces. Here the artist omitted the saints and martyrs to be found in his Sacra conversazione, in which the Virgin and Child occupy the centre of the composition, enthroned on a dais that raises them above the other figures. Again in comparison to his larger versions of this subject, Costa simplified the setting, replacing his architectural interiors by a pleasing landscape enlivened with small figures. The only comparable element to the Rossi and Ghedini altarpieces is the design of the throne, which is lacking a base and instead stands on an octagonal platform held up by eight putti. Its location, and the design of the floor both function to increase the sense of space in this area, which functions as the setting for the Virgin with her calm, serene face. The red and blue of her clothes are the starting-point for the colour harmonies in the landscape behind her and which suggest Ferrarese painting in the large, rocky outcrop on the left and the fantastical forms of the small clouds in the sky.